Name of booth: Kobe Bussan Co., Ltd.
We are the headquarters of a supermarket chain (business-use) that has more than 740 outlets in the whole of Japan. We are also in the restaurant business. We are going to create a space like in the business-use supermarket where we can have business negotiations and food sampling. We hope to have a lively atmosphere for both business customers and Muslims from the general public. Feature: Imported directly from Brazil! Manufactured by SEARA from Brazil. Each piece is conveniently made to be more than 200g, making it a popular item in the business-use supermarket. You can use it for home cooking, barbeque, or even parties with big number of people. 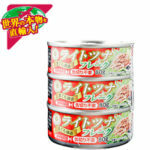 Feature: Directly imported from Thailand, a leading producer of canned tuna! Among so many types of tuna, only big-eye tuna is used, which is said to be the next best after bluefin tuna. Our raw materials, production management and inspection all go through very stringent checks! We commit to producing it in order not to lose its quality of the raw materials. Please enjoy the premium quality taste of tuna. Feature: Directly imported from its origin country, Thailand. 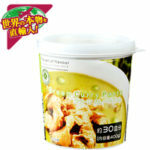 With one of this high cost-performance item, you can make 30 dishes of Thai curry from it! You can make a proper Thai curry by dissolving this with same amount of both coconut milk and water. 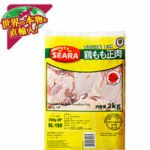 Of course you can also use it for stir-fry, deep-fry, beef etc. as the seasoning to enjoy the curry taste. No chemical seasonings or preservatives are used. Feature: Directly imported from Vietnam! With the combination of calcium and vitamin D! 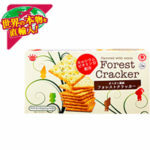 The cracker is crunchy and has a nice aroma from onion. As it is packed in small packages of 25g x 6 packets, you can also distribute them at your events! You can eat it as a snack or for breakfast, with cheese or ham etc., or crush it up and use it for salad or soup. There are many different ways to eat them! Feature: Directly imported from Vietnam! You don’t have to cook it in a pot like the usual instant noodles, instead, you only need to open it, place it in a bowl and add hot water. It only takes 4 mins. 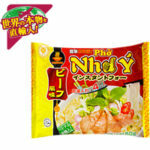 Although it’s instant, the full-bodied soup and refreshing aftertaste makes it a very popular item. ← Choya Umeshu Co., Ltd.